Does induction really reduce the likelihood of caesarean section? Two recent systematic reviews have arrived at the same, rather surprising and somewhat counter-intuitive result. That is, contrary to the belief and experience of many people who work on labour wards every day, induction of labour doesn’t increase the chance of caesarean section at all. In fact, the reviewers argue, their results demonstrate that induction of labour reduces the likelihood of caesarean section. It might be that our instincts are wrong, and that we need to reconsider what we think we know. But before we rush to recommend induction as the latest tool to promote normal birth, we might want to look a bit more closely at the evidence, as I am not at all certain that this apparently straightforward conclusion is quite as cut-and-dried as it sounds. Induction of labour is a curious intervention. There is little doubt that it is overused (Wickham 2014), and yet there are situations in which induction is inarguably the best or safest way forward. Induction-related debates are complicated by the fact that not every woman wants to wait for the natural onset of her labour, although this trend itself is likely to be an inevitable consequence of a cultural milieu that values speed, efficiency and productivity over patiently letting things unfold in their own time and way. But if this wasn’t complicated enough, there now seems to be an increasing trend towards recommending induction as the solution to almost every situation a pregnant woman might encounter, whether or not there is good evidence to support this. Gone past your due date? Best we induce you. Bit older than average? Induction, just to be safe. Overweight? Yes, we should probably induce you for that too, just in case. The addition of two recent systematic reviews (Wood et al 2014; Mishanina et al 2014) showing that induction of labour reduces the likelihood of caesarean section has raised even more questions (not to mention eyebrows) about the way forward. One of the teams of researchers even writes that, “it could also be argued that, based on our results, [induction] is one of the only interventions that has been shown in a clinical trial to reduce the risk of caesarean section” (Wood et al 2014: 682). The problem, though, is that, while the volume of evidence supporting induction of labour appears to be growing rapidly, the quality of much of that evidence is questionable. Many of the trials included in these meta-analyses have been shown to be at moderate to high risk of bias (Gülmezoglu et al 2012, WHO 2011) – and there are two other really big reasons (and several smaller ones) why we might want to think twice before sharing these findings. Firstly, the human factor needs to be considered, ideally as part of a wider discussion about the context and basis of such trials. It is very unhelpful when people talk about reducing the risk of caesarean section as if caesarean section is something that just happens naturally at the end of pregnancy to some women. Caesarean section is not something that just happens at a certain point; it is the result of a decision made by one or (ideally) more people and, as such, is a subjective outcome. I am sure that we all know colleagues who will recommend caesarean sections at the drop of a surgical cap, and colleagues whose capacity to tolerate the natural ebb and flow of labour is far higher. I often invite workshop participants to put themselves in the place of the clinicians in the trials that compared induction of labour and watchful waiting, and to imagine what decisions they would make under different circumstances. Frequently they realise that, if they were (for instance) a Canadian obstetrician caring simultaneously for a woman in induced labour at 41 weeks and a woman in spontaneous labour at 42 weeks, the latter woman and baby might be of more concern to them because of their pre-existing beliefs. It then becomes easier to understand why the women who had spontaneous onset of labour in those trials might have ended up being more likely to have a caesarean section. Indeed, Wood et al (2014: 682) acknowledge that, “It may be that the results of our review reflect doctors’ discomfort with delayed delivery in high-risk women that, once they are in labour, manifests as more frequent cesarean sections: an example of research confirming the biases of the health-care community”. So just as Michel Odent once observed that all we could really learn from the Canadian term breech trial was that having “a breech birth in a conventional hospital and in the presence of an obstetrician is dangerous” (Odent 2003: 11), we might consider that the reviews by Wood et al (2014) and Mishanina et al (2014) teach us that awaiting spontaneous labour while in the care of an obstetrician may increase the risk of being advised to have a caesarean section, which may or may not have been genuinely warranted. But the second and even bigger concern – and one which I know is shared by quite a few of our obstetric colleagues – is the way in which these reviews have lumped together a whole range of trials; trials which include very different women with very different indications for induction, experiencing very different methods of induction (not all of which were medical) and over several decades. This is an even more pertinent consideration given Kotaska’s (2004) concern that, for complex phenomena (such as the progress of labour, whether spontaneous or induced in onset), the findings of RCTs may not be applicable to individual women. In Wood et al’s (2014) review, 27 of the trials included women who had no medical indication for labour other than the fact that the women’s pregnancies were late-term or post-term, while the other 10 trials included women who had risk factors such as hypertension, diabetes or oligohydramnios. These groups of women are very different. The trials in Mishana et al’s (2014) review occurred over four decades, yet what was on offer in 1975 is rather different from what was on offer in 2010. It has long been accepted that the data summarised in meta-analyses need to be homogenous, which means that the studies need to have included similar participants, treatments and end points (Eysenck 1994). But this was not always possible for the reviewers in this area. Overall, these problems cast serious doubt on the validity of the findings of both meta-analyses. Both of the review teams and Caughey’s (2014) related commentary acknowledge some of these concerns and discuss the limitations of their research, noting that further research is needed before any change occurs in practice. But these limitations involve nuances and complexities and often a more in-depth understanding of statistics than most people want (or are able) to engage with, and they don’t make nearly such good headlines. Caughey AB (2014). ‘Induction of labour: does it increase the risk of caesarean delivery?’ BJOG: An International Journal of Obstetrics and Gynaecology, 121(6): 658-661. Eysenck HJ (1994). ‘Meta-analysis and its problems’. British Medical Journal, 304: 789-792. Gülmezoglu AM, Crowther CA, Middleton P et al (2012). ‘Induction of labour for improving birth outcomes for women at or beyond term’. Cochrane Database of Systematic Reviews, 6: CD004945. Kotaska A (2004). ‘Inappropriate use of randomised trials to evaluate complex phenomena: case study of vaginal breech delivery’. British Medical Journal, 329: 1039-1042. Mishanina E, Rogozinska E, Thatthi T et al (2014). ‘Use of labour induction and risk of cesarean delivery: a systematic review and meta-analysis’. Canadian Medical Association Journal, 186(9): 665-673. Odent M (2003). ‘Home breech birth: commentary’. The Practising Midwife, 6(1): 11. Wickham S (2014). Inducing labour: making informed decisions, London: AIMS. Wood S, Cooper S and Ross S (2014). ‘Does induction of labour increase the risk of caesarean section? A systematic review and meta-analysis of trials in women with intact membranes’. BJOG: An International Journal of Obstetrics and Gynaecology, 121(6): 674–685. WHO (2011). Recommendations for induction of labour, Geneva: WHO. Can I ask a huuuuuuuuuuuge favour………..??? Well, I am going to ask it anyway…….. Is there any chance that you could put the date of when you wrote each blog, on each blog please!? In this way it helps when I am referencing you and I also know how recently it was written! Or is it there already and I am completely missing it??? If you look at the main blog roll, you can see the date that each blog post was last modified, under the title of the post. That is a better reference point than the original publication date because we strive to keep posts up-to-date. 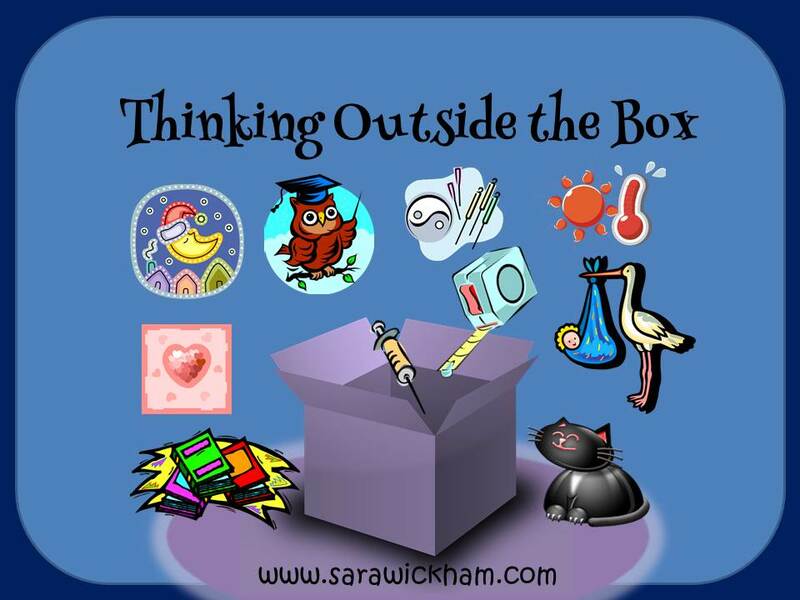 To see the main blog roll, click on Sara’s home page and scroll down.